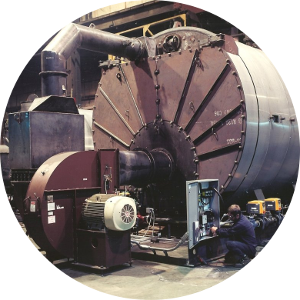 When a boiler-plant is taken out of operation for shorter or longer time, the relative humidity will increase gradually to 80-90 % RH. That gives corrosion problems. The solution is to dehumidify. Dehumidification means that the relative humidity will be lowered to suitable level by reducing the moisture contents of the air. To optimise your mechanical equipment, you need to create the right environment. High humidity causes condensation, corrosion and rust, which in a power plant or wind turbine, causes problems with gas turbines power performance, pumps, switchgears and operations. Air Solutions equipment ensures that power plants and wind turbines are protected from corrosion and stay in perfect condition - all this for a fraction of the cost of a new plant or equipment.